Phosphorus is an essential element for organisms and plants. In natural, uncontaminated waters, it occurs as organically bound phosphate, condensed phosphates or as orthophosphate - often referred to by its chemical formula PO4-P. The small quantity of phosphorus present in natural waters does not promote the growth of plants. 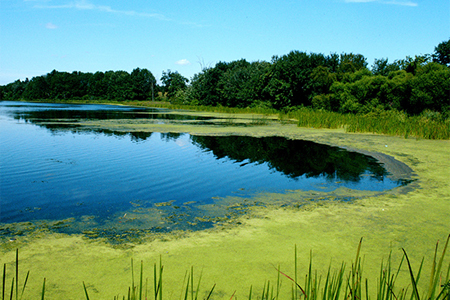 However, a rise in the concentration of phosphorus results in the proliferation of algae, which leads to the eutrophication of the water body.